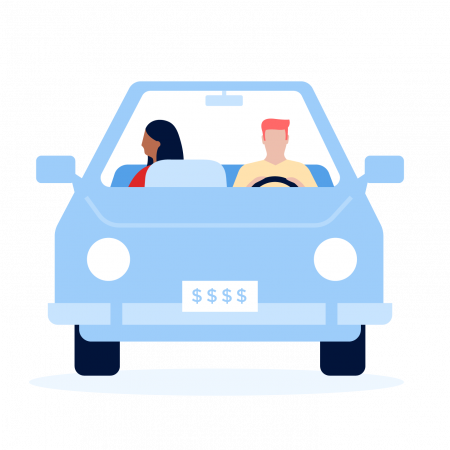 You know that car insurance is there to protect you in case of an accident, but beyond that the details about auto insurance — how it works and how it’s priced — may be a little fuzzy. To clear up the picture, we debunk 5 common myths about auto insurance. 1. All you need is the minimum amount required. Each state’s auto insurance requirements are for minimal amounts of coverage — not enough if you have assets such as a home or savings to protect. If you cause an accident, you’re on the hook for the damages that go beyond your liability limits. In addition, if you buy only the insurance required by your state, you have no coverage for your own car. No state requires collision and comprehensive insurance, which pays for repairing or replacing your vehicle. 2. Comprehensive insurance covers everything. One reason misconceptions abound about car insurance is that some of the terms are confusing. “Comprehensive insurance” sounds like it should be, well, comprehensive and provide blanket coverage for any instance. But in fact it applies only when your car is damaged by certain causes other than traffic accidents, such as hail, flooding, falling objects, vandalism or collisions with animals. It also reimburses you for the market value of your car if it’s stolen. 3. A red car costs more to insure. “For years there has been a notion that color plays a significant part in calculating insurance premium costs, many people believing that red cars cost more to insure because they are linked to aggressive driving or speeding,” industry group Insurance Information Institute says. But whether your car is red or gray or purple doesn’t matter when insurers calculate premiums. When it comes to your car, insurance companies are concerned with its make, model and year, engine size and body type, the institute says. They care about safety features, how likely it is to get stolen and how much it would cost to repair or replace after an accident. 4. A friend who borrows and crashes your car is financially responsible for the accident. Sounds fair, but it’s false. Car insurance follows the car, not the driver. So if your friend crashes your car, your insurance pays out first. That means forking out a deductible toward repairs if you file a collision claim for your car. If the accident injures other people or damages their cars, your policy’s liability insurance will pay out up to the limits. Once costs exceed the limits, then your friend’s insurance might come into play. People throw around the term “full coverage” when they talk about auto insurance, but there really is no such thing. Usually what they mean is a policy that includes liability, collision insurance (which covers your car after an accident) and comprehensive insurance (which covers your car in case of theft or damage from causes other than traffic accidents). But there are other types of coverage you can add to a policy too, such as uninsured motorist coverage, rental reimbursement or roadside assistance coverage. Because there is no clear definition of “full coverage,” it’s impossible to compare quotes using this term. Full coverage might mean one thing to one person and something else to another. No matter what coverage you want, NerdWallet’s car insurance estimator tool can provide price comparisons.